The Ministry of Health’s MOH Oral Health Survey 2009 found nearly 50% of children in both fluoridated and non-fluoridated areas have some form of dental fluorosis. Other New Zealand studies found 15% in nonfluoridated areas and 30% in fluoridated areas. 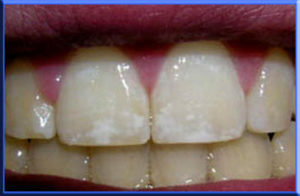 Dental fluorosis is caused by an excess of fluoride as the teeth are developing. 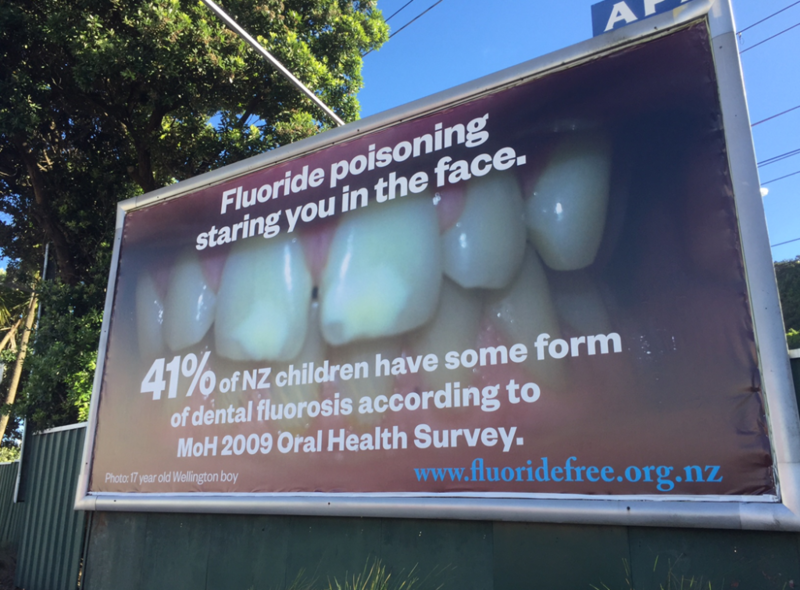 Most dental fluorosis in New Zealand is not very noticeable but that does not mean it is not significant. As noted by Dr Hardy Limeback (BSc, PhD, DDS) “it is illogical to assume that tooth enamel is the only tissue affected by low daily doses of fluoride ingestion.” According to the late Dr. John Colquhoun, “Common sense should tell us that if a poison circulating in a child’s body can damage the tooth-forming cells, then other harm also is likely.” If a child has a thin blue line on their gum (Burton’s Line) it represents over-exposure to lead or another heavy metal. No one would say it is “only cosmetic”. None of the Governments in countries that have fluoridation have done any research into what other effects may have been experienced by children with dental fluorosis. There are now four studies from India, China and Mexico that have looked at dental fluorosis and other adverse health effects. They all found a strong correlation with any level of dental fluorosis to reduced IQ. CONCLUSIONS: Our study suggests threshold and saturation effects of moderately excessive fluoride exposure on Dental Fluorosis and intelligence loss in children, and a potential association between Dental Fluorosis and the loss of excellent intelligence. The results also reveal that Exposure Dose has a positive correlation with Dental Fluorosis (r = 0.299, P < 0.01) and UF (r = 0.513, P < 0.01) and a negative correlation with IQ (r = −0.343, P < 0.01) along with BMI (r = 0.083, non-significant). Therefore, from this study, it may be concluded that Urinary Fluoride and Dental Fluorosis concentration could act as a biomarker of fluoride toxicity. 2015 Khan SA, et al. (2015). Relationship between dental fluorosis and intelligence quotient of school going children in and around Lucknow district: a cross-sectional study. Journal of Clinical & Diagnostic Research 9(11):ZC10-15. 2011 Ding Y, et al. (2011). The relationships between low levels of urine fluoride on children’s intelligence, dental fluorosis in endemic fluorosis areas in Hulunbuir, Inner Mongolia, China. Journal of Hazardous Materials 186(2-3):1942-46.